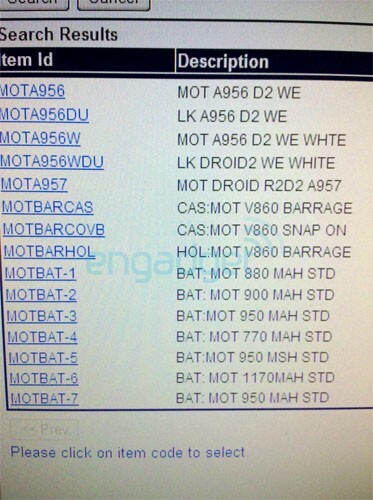 First Roms For Droid2 Surface! 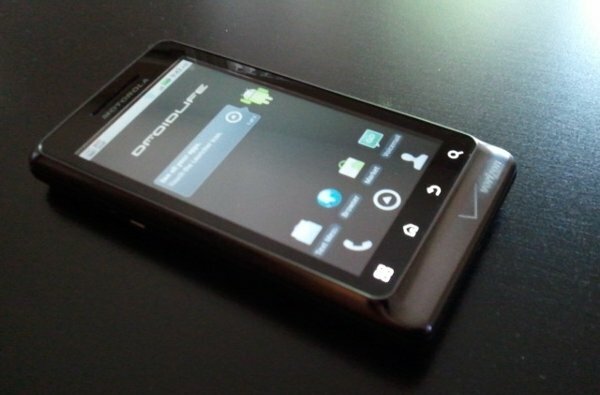 We had two roms for the newly released Droid 2 pop up over the weekend. Basically these will clean up your Droid 2 and either remove bloatware and add performance while leaving the Motorola overlay, or there is one to go to a (pretty much) vanilla Android experience on your phone. Please note: For both of these you need to be running Koush’s Droid 2 Bootstrap app to get into ClockworkMod recovery properly. Also make sure to read and follow ALL the instructions for either rom before attempting to install them. As always you do this at your own risk! First up is EPIC ROM, from Matt 4542, the same developer behind the Droid 1’s EPIC rom. This one will leave the Motorola overlay with the three large buttons at the bottom, but it will remove a lot of the bloatware, as well as clean up some under-the-hood aspects of the phone. It has also been fully deodexed and comes loaded with custom scripts. If you want to give Epic a try check it out over on the droid-life forums, here. If you want to get some Tranquility on your Droid 2, then head on over to the My Droid World forums, here. 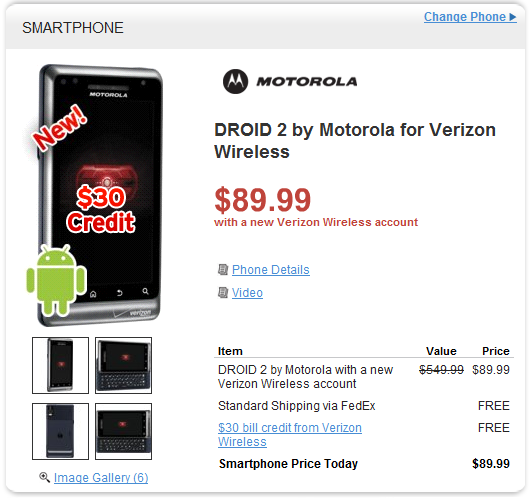 Get A Droid 2 or Droid Incredible For Cheap! Anyone interested in grabbing a Droid 2 for 89.99 with a new contract, upgrade, or added line? How about a HTC Droid Incredible for 69.99 on contract, upgrade, or a new line? Well if that sounds too good to be true, thank your local Sears for the great deal. Probably one of the last places I would ever look to buy a cell phone is now selling these phones, for these ridiculously low prices. Sure beats Verizon’s $200 price tag. Grab one up while you can! Koush’s Bootstrapper Now For Droid 2! 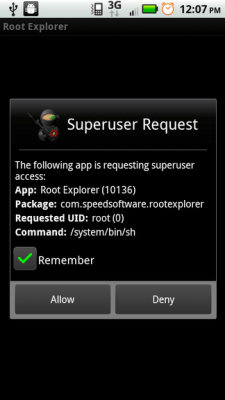 Apparently Koush’s Droid X Bootstrapper was a sure fit to work on the Droid 2 as well. (Is anyone really surprised with how similar the hardware and software is between the two?) And with that Koush has tweaked it slightly and released a straight Droid 2 Bootstrapper app. You can get it off his site, or in the market for 2 bucks. I would suggest the market app as there have been updates I missed out on and caused me issues with Rom Manager using this on my Droid X. So buy the guy a beer for his hard work, and get ready for some custom rom’s to be headed your way! Note: You MUST be rooted to use this! Simply download the app. Install it. Open it. Tap Load Bootstrapper, grant SU permissions, and it will say done! If you want to, at that point you can tap boot into recovery to see that it works, and make a nandroid backup of your device, however the real fun will come when someone start’s to develop some custom roms for the device. Droid 2 Has Been Rooted! The guy’s at XDA-Developers did it again! It’s not a one click method…yet, so only try this if you’re very comfortable with rooting, but if you can hold off a week or so, I would bet we’ll see a bunch of one click methods pop up, or include support for the Droid 2. This is just the beginning as it was on the Droid X, but as you all know we can now load custom roms on the Droid X when it was said to be impossible. So I would imagine the same treatment for the Droid 2 will follow. Vanilla Android on the Droid 2 anyone? Droid 2 Receives OTA/User Initiated Update. 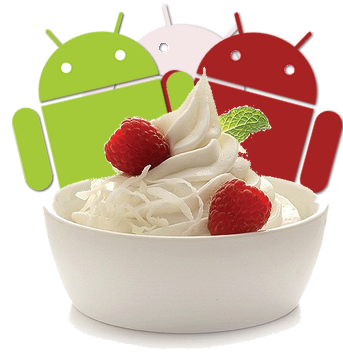 New owners of the Droid 2 are going to be getting a small update. More importantly, it looks like Verizon is offering user initiated updating before they push it OTA, according to droid-life.com. Below are the changes/additions with the update, and although nothing major, still nice to see the quick response on issues for a device just launched. It makes me wonder why they didn’t have the same response with pushing any updates to the Droid X? Luckily we got our Froyo leak for that yesterday, and if you haven’t taken the plunge, let me tell you, it’s well worth it.